Better post this one while there's still at least a bit of December left. 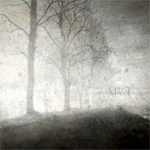 Magi’s purpose is to explore & create epic landscapes of doom-laden drone metal. meaning of Freemasonry & its mysteries."